I don't think there are too many of you within shouting distance of me, but there will be a party at my house on December 8th at 5 till whenever. Come on out and have a beer or throw rocks at me or both. I will be making pizza. There will be beer. There will be kids running around. My arcade room has been closed due to kitchen renovations for a month now. It was the staging room for tools and materials. It is time to dust everything off and have a good time. If you are interested just PM me. I will send you my address. For reference I live in Wonder Lake, IL. I’ll go if Lew promises to show up and fight you. 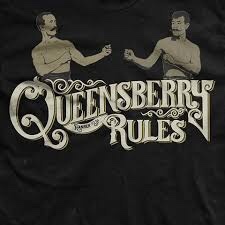 Has to be 18 rounds, bare knuckles, Queensbury rules. Eh. He is welcome to come out. Lew can say whatever he wants to my face. I would respect that. He and I differ greatly in opinion. I have no issue with that. I just don't appreciate that he thinks I have to conform to his idea of how I should comport myself. No big deal. Lew ain't brave enough to venture out of West County. I remember what those people were like. You’re still coming to ZapCon, right? Not booked flights or anything yet, still paying off the wedding but still planing on coming over to meet you nuts. Don't make me hop on a transatlantic flight. What is the penalty for kidnapping in the UK? You want to do WHAT to my nuts? Careful, we already have one “wife’s permission” feud thread going on. Don’t want the threat of someone getting punched to spread to another one. Muay Thai is more my speed. We can get out the glue and broken glass.